Made by TP LINK, the TL WA701ND 150Mbps Wireless Access Point enables you to expand or establish a high speed wireless Internet network and connect various Ethernet enabled devices like printers, gaming consoles, digital media adapters, etc. to an existing wireless network. This modem is designed using the Align 1 Stream technology that offers high speed wireless performance for your network at data rates of up to 150Mbps. Based on the 802.11n standard, this wireless access point offers four times the range of conventional wireless G devices. This router also supports multiple operating modes to enable various wireless applications, giving you a more dynamic and comprehensive user experience. This device can be conveniently powered through an Ethernet cable to simultaneously send data and electricity to wherever your AP may be located, even if that is up to 100ft away. 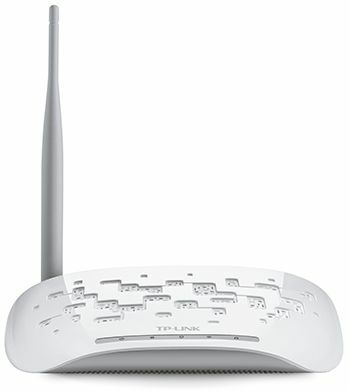 The TP LINK wireless router is available in a white color. Featuring the Align 1 Stream technology, the TL WA701ND 150Mbps Wireless Access Point offers high wireless speeds of up to 150Mbps. It is an ideal device for high frequency or interruption sensitive applications like video streaming, gaming, etc. The TL WA701ND 150Mbps Wireless Access Point router supports a host of different functions that make your wireless networking experience more flexible. The device features a repeater mode that expands the coverage and signal strength for the current wireless environment with Wireless Distribution Service (WDS) technology by connecting multiple access points. You can also make use of the universal repeater mode so that even access points and routers without WDS will be compatible. You can use this feature to build up a larger wireless network in large spaces such as cafes, offices, and hotels. The TL WA701ND 150Mbps Wireless Access Point can be powered using an Ethernet cable to simultaneously send data and electricity to wherever your access point is located, even if that location is up to 100ft away. This intelligent feature increases your options, allowing you to place the access point in a position that is most beneficial to your users. In order to get the best signal strength possible, you can fix it to the ceiling of your office or on the wall. The TL WA701ND 150Mbps Wireless Access Point allows you to instantly set up your network security. Just skim through the installation guide that will furnish you with the information needed to establish a secure connection. The TL WA701ND 150Mbps Wireless Access Point supports multiple operating modes, allowing you to create a separate network that segments users who need priority access or different levels of security. This mode also helps you easily build a wireless network with no dead spots for locations that are hard to wire. Thank you for your all team members. Excellent. This product of 150 Mbps is not there in outside market. Only 300 Mbps available outside and too costly. Very Good product at a very cheap price compared to outside market.